Put simply, insertion loss is the measurement of light that is lost between two fixed points in the fiber. It can occur when optical fibers are spliced together, connected, or sent through additional passive network components. IL is often attributed to misalignment, contamination, or poorly manufactured connectors (ferrules) and has long been used to advocate fusion splicing. However, in reality, the attenuation difference between fusion splicing and manual connections is marginal (less than 0.1 dB). Another reason for fiber seemingly exhibiting high IL in fiber to the home (FTTH) networks is the route of the cable itself. For example, a fiber might travel 10km from the OLT to the curb and lose less than 1dB, and then go on to lose three times as much in the next 100 meters. Multi dwelling units (MDUs) are a great example of complex fiber routes, and it is especially important to protect bend radii, such as with dedicated raceways or microducts. Fiber can quite easily become tightly coiled or kinked during installation; even bend insensitive G657A1 fiber coiled just once to 20mm diameter will see as much as 0.2dB loss. Coiled twice at 20mm 0.4dB, three times and... you get the picture. It is still true that connectors are the most likely cause of high IL, but it’s unfair to think of them as the only culprit. In reality, we can manage connector losses by stipulating the IL standards of the cables we buy, and training installers to keep things clean. Reducing the number of components within the network also logically lowers the insertion loss, so consider this if you’re simply using your splice machine to fuse poor quality components together. Return loss also impacts the network’s performance but in a different way. It is the amount of signal reflected back towards the source due to an impedance mismatch – effectively, if this is too high, the laser within the network may stop transmitting correctly. Many systems can cope with 40dB return loss (RL), equivalent to 0.01 per cent of the power being sent back. 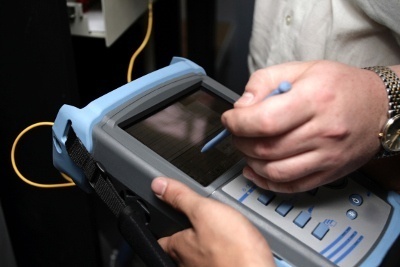 FTTH, however, is more demanding, and RL cannot be more (lower) than -60dB, sometimes higher. To achieve these ultra-low RL figures - such as 0.000005 per cent or -75dB - optical connectors must have angled ferrules (APC). As with IL, when planning a network you need to factor in RL, and all equipment should be supplied with a certificate of specification stating both. It is important that networks are tested to ensure that there aren’t any unexpectedly high RL figures that indicate problems with equipment or fibers. Cable, specifically, can show high RL if a gap exists (such as fiber undercut) or if the fiber is broken. Contamination, torsion, strain or poorly seated connectors can also lead to high return losses. The complexity of fiber networks, and the need to measure optical losses, can potentially lead to confusion. However, careful planning, use of high-quality components and a focus on testing will enable installers to deliver high-speed connections that perform well over the long term. Here are five easy tips for reducing your losses. Minimize tight bends that cause light to refract through the fiber cladding. If you need to coil fiber, keep the radius as large as possible. Clean connector ferrules little and often - especially before and after testing - and always use the right tools and consumables. Decide which is higher: your "power loss" budget or your cable inventory budget. Buying cheap fiber can create larger costs further down the line. 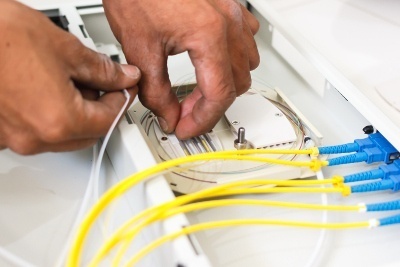 Avoid any undue stress on the fiber, particularly during installation. Push where possible and if a cable needs pulling, do not exceed the cable’s maximum tensile load. Minimize the number of splices or connections in your network; if it means better planning or more innovative drop cables, the investment is probably well worth it.